This topic contains 2 replies, has 1,025 voices, and was last updated by zorg 7 years, 9 months ago. 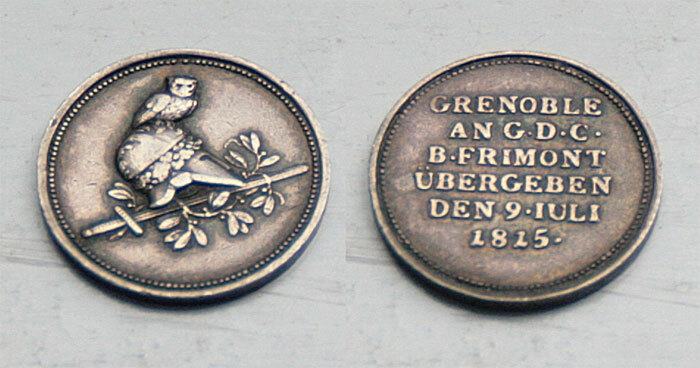 Napoleonic Wars / Neapolitan War – Austrian silver medal on the capitulation of Grenoble 1815. Never seen this before. Do you have more information on this one? It’s a very small medal. ca. 19 mm. I found such a one in a german auction catalogue from 2010. The only additional information in this catalogue is "Slg. Julius 3362".